Yesterday afternoon I got a call at work from my boyfriend asking if I wanted to go trail running after work. 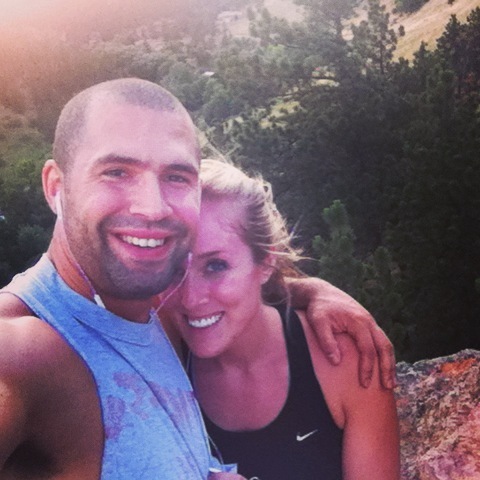 I have begged him to go trail running with me for ages, so I was super excited and immediately said yes, even though I had already lifted that morning. I always forget that it stays late till at least 8 o’clock during the summer, leaving plenty of time for outdoor activities after work. We headed to Mt. 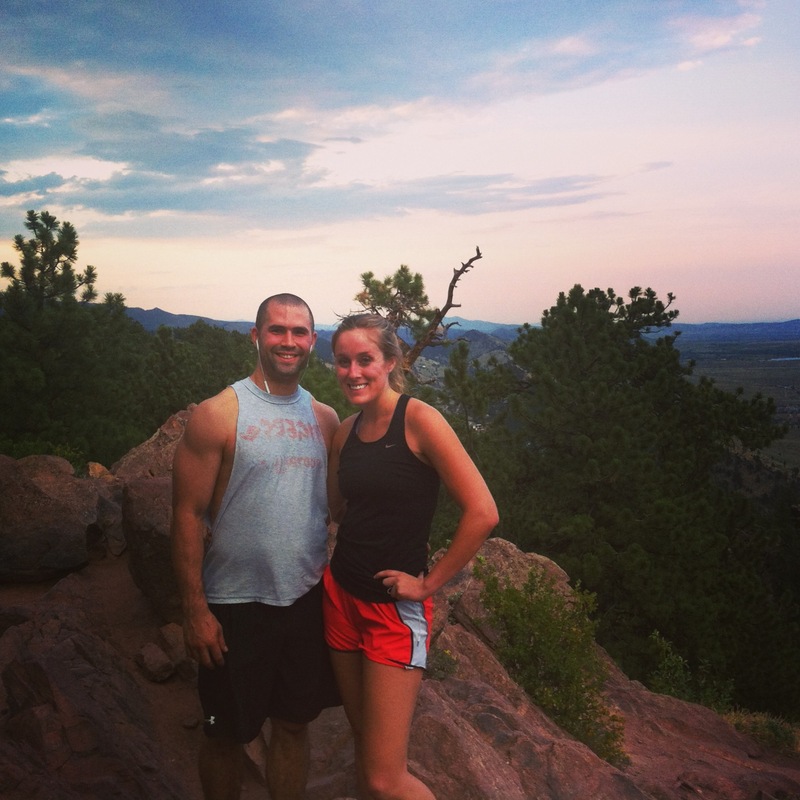 Sanitas in Boulder, excited to run some trails. 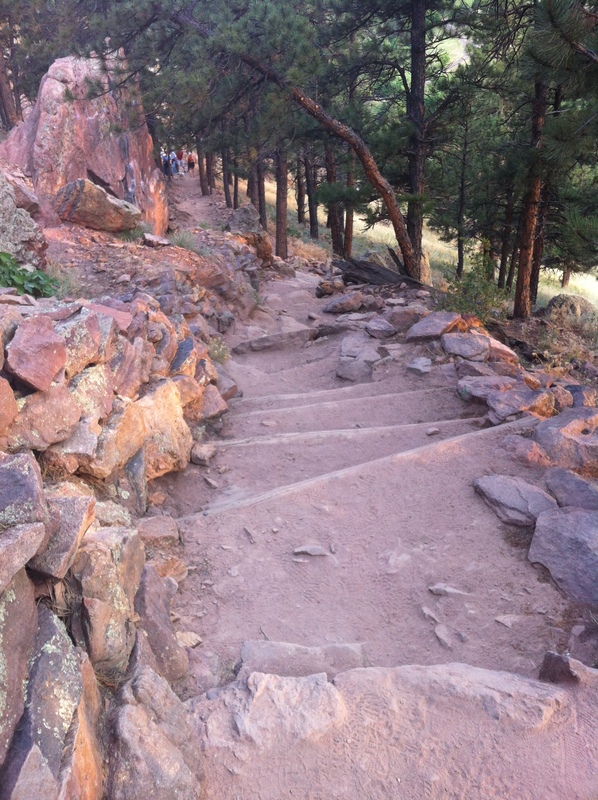 We probably should have read a description, as what we encountered was more like an outdoor stair master. We ran any part that didn’t have stairs, but the stairs were too high/un even to fully run up. Even without running, it hurt my poor sore legs. I definitely had to put my head down and power through towards the end, but we made it to the top in just under 26 minutes. And it was all worth it for the great view of our beautiful city. We ran down the other side, which is a little longer but far less steep. We made it back just as some dark clouds were rolling in and lightning was dancing in the sky around the mountains. It was a great way to end a stressful day, getting out into the wilderness, pushing any worries out of my mind and focusing solely on forcing my body to its limits. 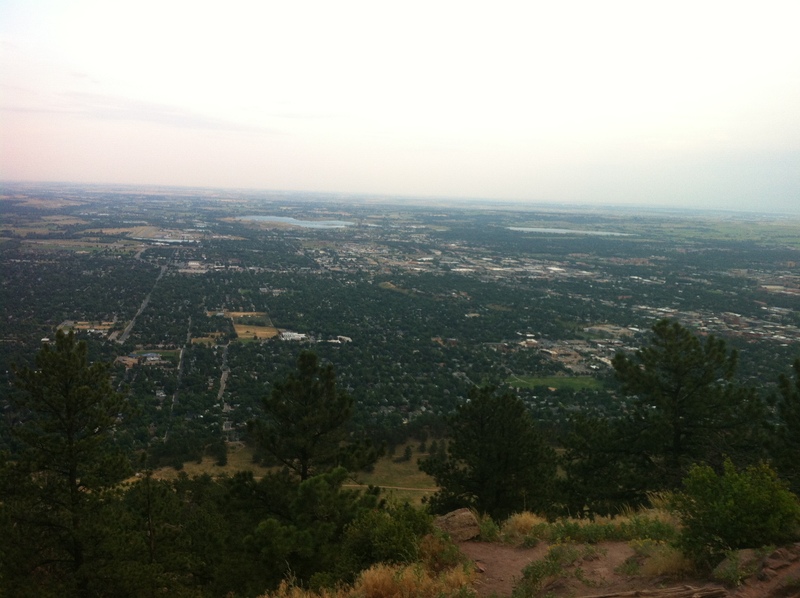 This entry was posted in Uncategorized and tagged boulder, fitfluential, Run, Running by fionaboger. Bookmark the permalink.